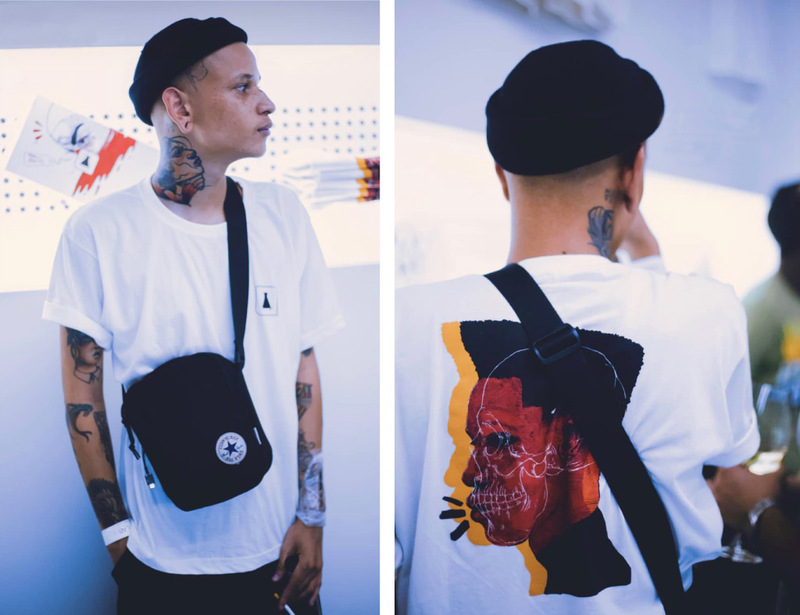 The second installment of Sneaker LAB’s Artists Series, featured Johannesburg-based illustrator, African Ginger, for the launch of his collection, Dirty Clean. Hosted in Sneaker LAB’S flagship store, on 70 Juta Street, the collaboration, Dirty Clean, is inspired by the City’s two striking personalities – the suburbs, characterised by clean lines, order, structure and the inner city – filled with this resourcefulness, chaos and unhinged creativity. “As an artist you never stop, you’re never done. No matter what your medium to create is, you’re always looking to grow your craft and create something that no one has ever thought of yet. I think as long as I’m able to do great work and tell my story, want my art to be accessible to all people and I hope its inspires someone to follow their passion to express their creativity”. The collection features African Ginger’s signature design style on a hand-made tote bag, work-jacket, and range of t-shirts. The design is extended to a custom pair of Converse One Stars as well as a limited set of Sneaker LAB’s Deluxe Kit. Check out what went down, when Sneaker LAB followed African Ginger through the streets of Johannesburg.